On my way into the office last week, the radio broadcaster made the comment that we are experiencing January like temperatures here in December and I’d have to say that I couldn’t agree more. With this comment, I started to think about how shepherds are managing their flocks with the recent fluctuations in temperature coupled with a shortage of pasture and quality hay. I image that many are turning to feeding concentrate diets, which certainly isn’t a problem, but can become costly when feeding potential cull ewes. A cull ewe is a female within the flock that is no longer benefiting your operation. This ewe may have failed to become pregnant (open) or has some other underlying issues that are not allowing her to perform to her greatest potential. 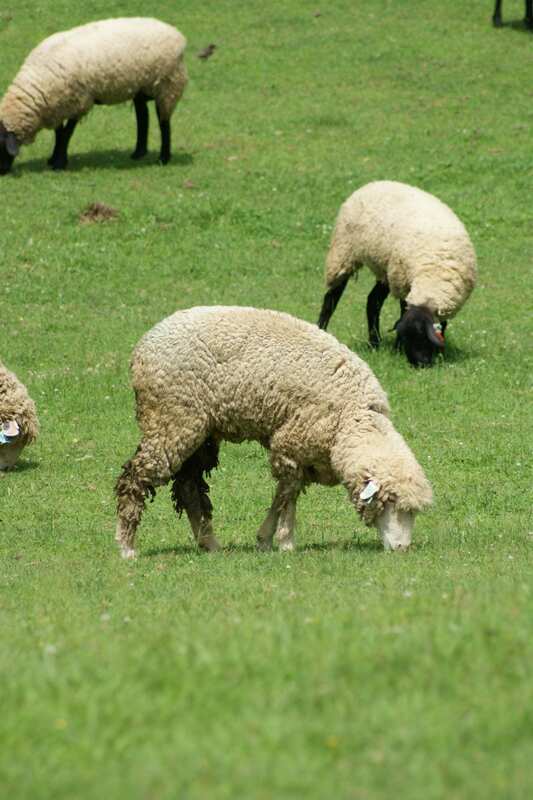 With feed costs accounting for approximately 75% of a livestock enterprise, culling nonproductive and attention needing ewes may be in your best interest this year before you begin to put an abundance of resources into these ewes. Now I have heard some producers say, “Well, I want to keep my cull ewes until market prices are up” and “I am going to hold onto my culls to put some more weight on them before I sell.” In moments like these, I can’t help to think to myself, what is the value of a cull ewe? To answer that question, I have been following the current market and pulled some old market reports to determine when is the best time to sell cull ewes. After compiling market reports over the course of the past 12 months the average price for cull sheep at Mt. Hope is $0.76/lb. Other livestock sale barns from across the eastern U.S. (Mt. Vernon, OH; New Holland, PA; and Nashville, TN) show ranges of cull ewes being valued at $0.67 – $0.91/lb. depending upon the time of year. Two trends that I have noticed are that there is a higher premium offered for rams (~$0.95/lb. ), which we won’t discuss in this piece, and that there is a slight increase in demand for cull ewes from January through April. However, we would assume that these cull ewes receiving a premium ($1.00 – 1.10/lb.) during the beginning of the year are in good condition. Thinking of time, space, and resources, could you as a producer justify keeping a ewe during lambing season just to have the potential to receive another $0.25/lb.? Some may answer ‘yes’ to this question, but this situation may change depending based upon why the ewe is being culled from the flock. If the ewe is being culled for issues other than being open, you may think twice about keeping her around to chase a potentially small premium. Below are some of the most common culling criteria that would warrant removal from the flock. According to the USDA APHIS Sheep report (2011), which reports data for 2001 and 2011, age is the #1 reason for culling sheep in the United States. Ewes are most productive between 3-6 years of age. Data from the western sheep flocks show that the average culling age of a ewe is 5-6 years of age. Thinking about the production systems here in the east, ewes may be able to be productive for a longer period of time due to availability of resources (i.e. feed) and the conditions that they are exposed to (i.e. small pastures, dry lots). However, ewes can also be productive beyond this age, but the proportion of these ewes decreases as age increases. One issue that may arise as ewes age is a loss of teeth. Ewes with few to no teeth have difficultly foraging and therefore lack proper dietary intake. When inspecting your flock and evaluating thin ewes, be sure to take a look in their mouth for any teeth issues. Production records are a useful tool that every producer should have on hand at all times. These tools are very objective, stating exactly how the ewe and her offspring performed each year. For example, an aged ewe with no records would represent an unproductive ewe. Simply stated, unproductive ewes should be culled. Other reasons include ewes that lambed but due to a difficult birth, the lambs are either born dead or lambs survive and are unthrifty and small. Even if these lambs live beyond the first few days of life, they will be slower growing than their thrifty counterparts. Also, it is important to check for other criteria relating to lambing rates. For example, ewes that continuously give birth to triplets, but only weans a single or twins will be less efficient overall when compared to a ewe that gives birth to and weans twins. It is important to track lamb health and performance according to the ewe such as number of lambs born, raised, weaned, and marketed. Although not something that can be found in the pedigree, structure plays a huge role in ewe longevity and therefore productivity of an operation. Ewes that have mouth issues (over or under bite) should be culled in order to keep this defect out of your flock. 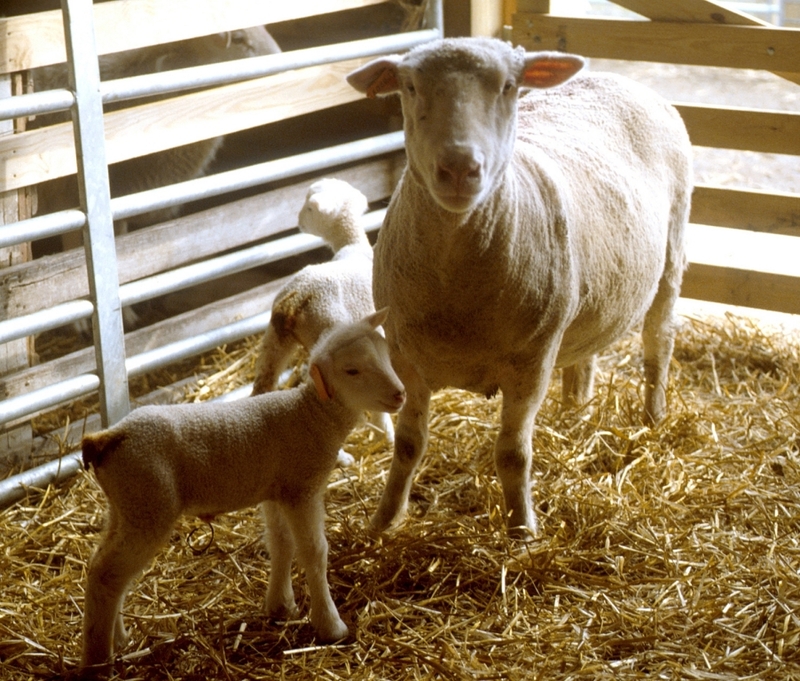 Ewes that have issues lambing (dystocia) due to a smaller pelvis width should also be culled as these ewes require more time and effort and potentially less in return if the lambs are not able to be saved. Ewes with poor leg structure (i.e. feet, toes, pasterns, legs) should also be culled. Animals that are not able to walk properly tend to have issues keeping on weight as they do not keep up with the rest of the flock. Those ewes with a poor Body Condition Score (BCS) should also be considered for culling. All of these structural traits can effect ewe longevity in the long run. Animal health should rank high on your list of priorities, therefore it make perfect sense to cull ewes based upon their health status. Ewes that are ill thrift or have some other type of health issue should be culled from the flock, especially if the condition is contagious. To point out the obvious, if a particular ewe in the flock has had repeated instances of health issues, these ewes should be culled. Ewes that have issues regarding udder health and structure such as: mastitis, blue bag, teat size and placement can all result in poor milk yield which negatively effects lamb performance. Ewes showing signs of lameness due to foot scald or foot rot should also be culled. Other issues such as disease status and internal parasite status should also be considered when culling in your flock. In addition, ewes that have a history of prolapsing (rectal, vaginal, or uterine) should be culled from the flock. Ewes with these condition can be managed, but will continue to be problems if they and their offspring remain in the flock. In order to reduce issues associated with this I recommend that all animals experiencing issues with prolapse be culled. Many shepherds may not consider this, but behavior is certainly a culling criteria! Ewes that are hard to manage due to their behavior can create other problems down the road. 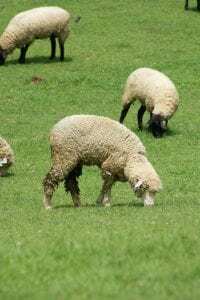 Some ewes may be reluctant to care for their lambs (poor mothering), others may know where the weak spot in your fence is at and because sheep follow, your entire flock could be on the loose. Regardless of the situation, don’t think that behavior is not an acceptable reason, because it most certainly is! Now that you have looked at all of your ewes and have ran them through your checklist, how many did you find that didn’t make the cut? Some of you may say too many, but the reality of this is that the average culling rate in the United States according to the 2011 USDA APHIS Sheep report is 14%. Therefore, if you have a flock of 100 sheep, it will take approximately 7 years to turn over the entire flock. This matches well with the productive life cycle of a mature ewe. The bottom line is don’t keep ewes that don’t lamb. Ewes that continually present themselves as problems or are in a poor state of health should also be culled. Seems pretty simple, right? Therefore, I challenge you that the next time that you call your ewes in to feed, which will more than likely be tonight, start thinking about this checklist to see if all of your ewes meet the criteria to remain on your farm. Editors Note: For those interested in learning more about ewe culling criteria, please follow this link to view the white paper on Culling Underperforming Ewes. Posted by Braden Campbell at 8:00am January 4, 2019 Posted in Management and tagged Management, Reproduction. Bookmark the permalink.